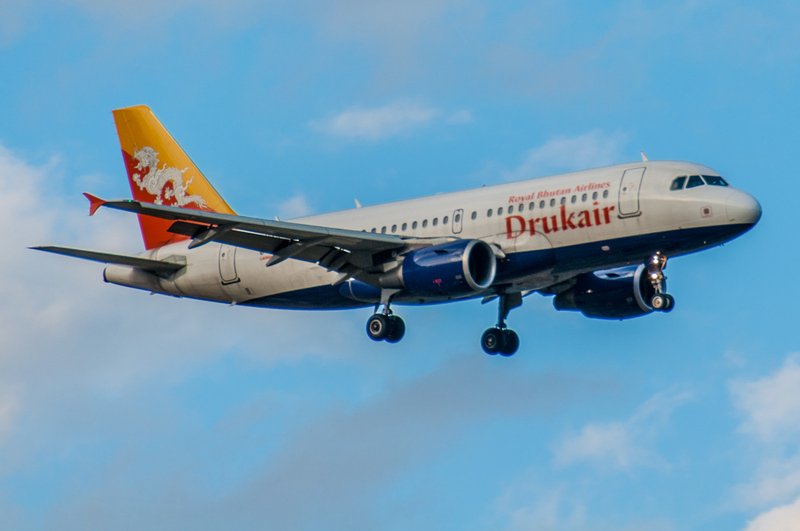 Only Druk Air can fly into Bhutan. 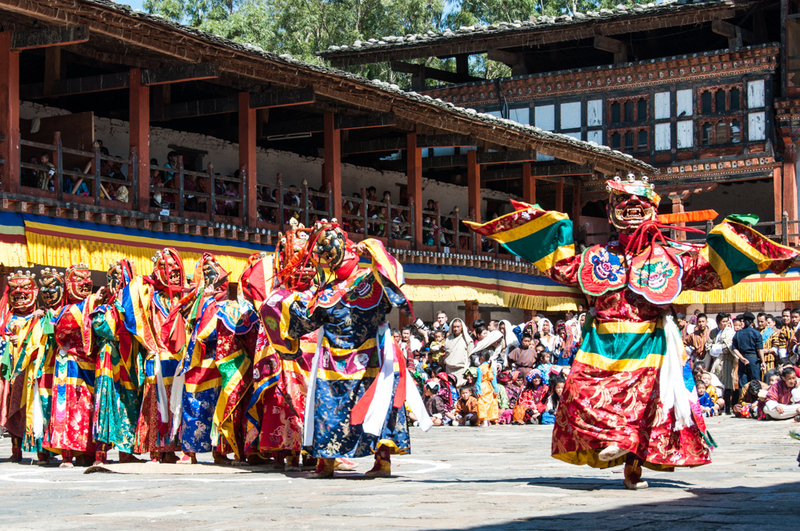 I wake up the next morning to a welcome e-mail from our tour operator in London, and the first order of business: “we urgently need to secure your flights in and out of Paro for the trip’s dates. 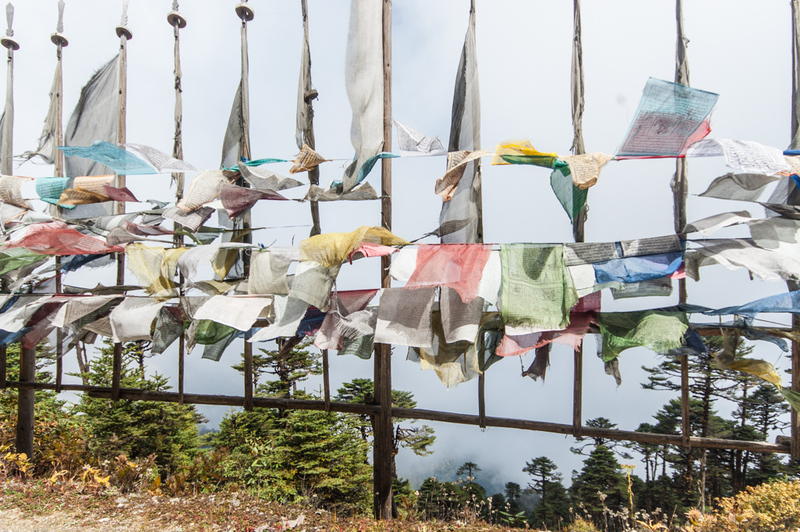 Where will you be coming from?” I am about to discover the logistical challenges of flying into Bhutan. 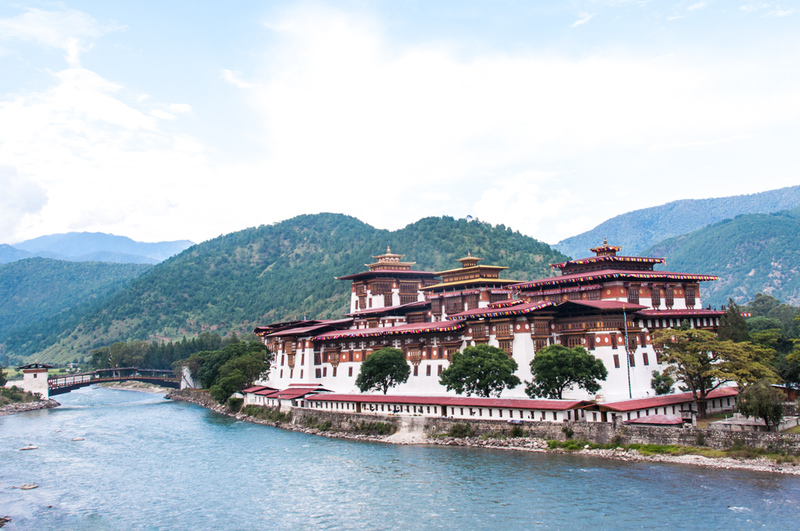 The Royal Bhutan Airline (or Druk Air) is the national carrier and the only one to fly in and out of the country. Its international fleet consists of two Airbus A310 with 124 seats each. 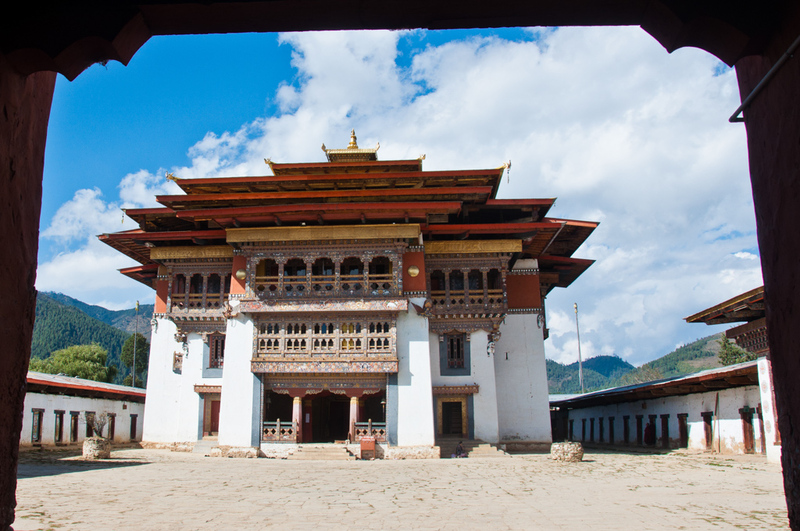 It operates out the Paro, the only international airport in Bhutan. 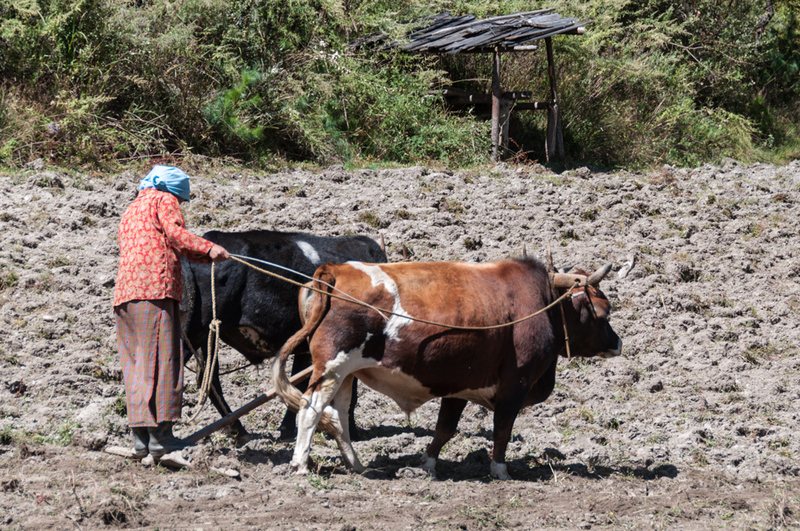 There is one daily flight from Bangkok, Thailand, plus several flights per week from a handful of cities in nearby counties. 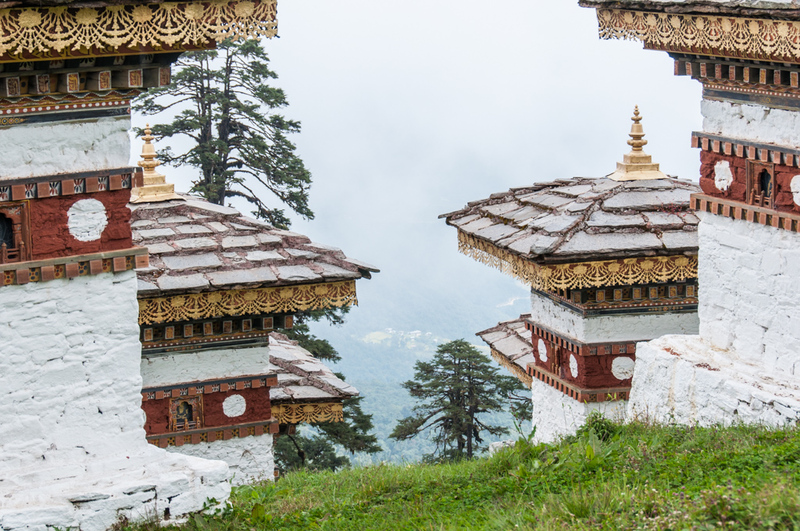 Then there is the disclaimer from the airline: “Due to the geographical location and operating challenges of Paro airport, flights are severely dependent on weather conditions. 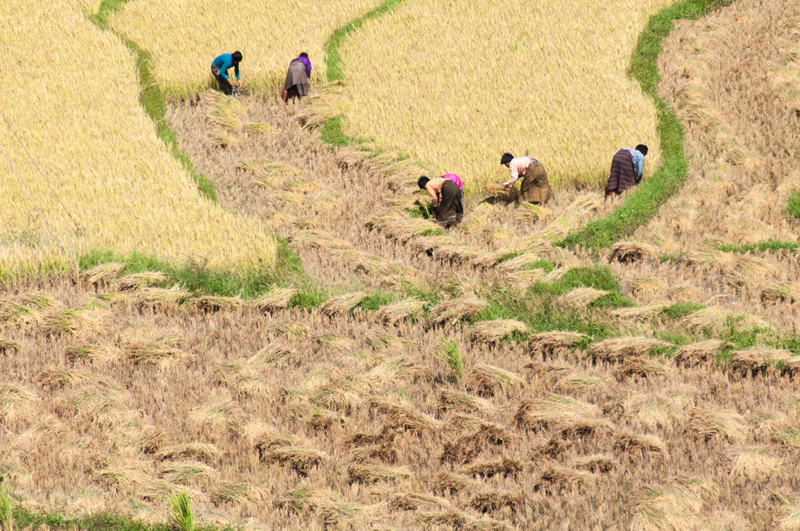 Schedule timings are subject to change without prior notice.” A quick look at the options confirms that I will be flying in from Delhi, India. I am a bit crestfallen when the answer comes back a few hours later. I am waitlisted on the flight. But within 48 hours, good news, I am now confirmed. Now let’s hope for favorable weather conditions. 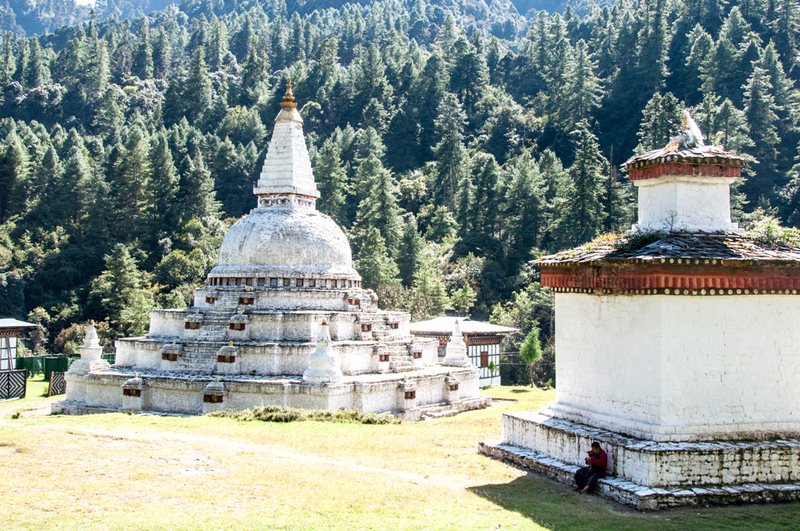 Mount Jomulhar is sacred to Bhutanese Buddhists. 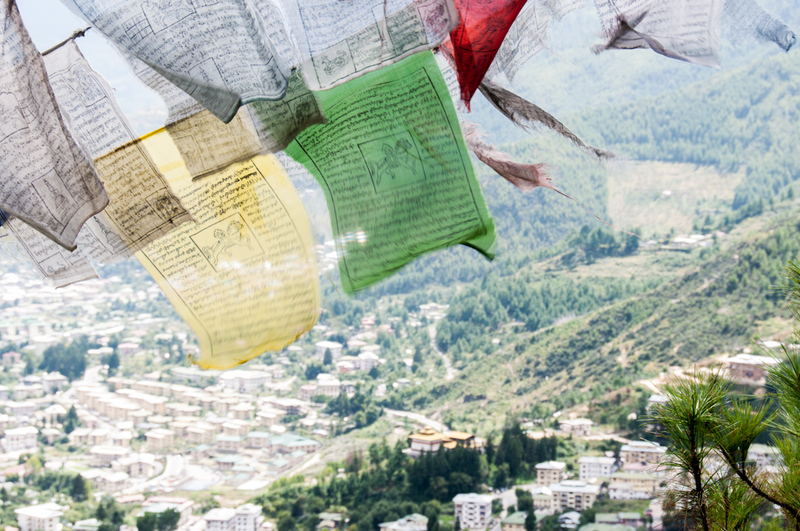 The flight into Paro has to be one of the most spectacular in the world. 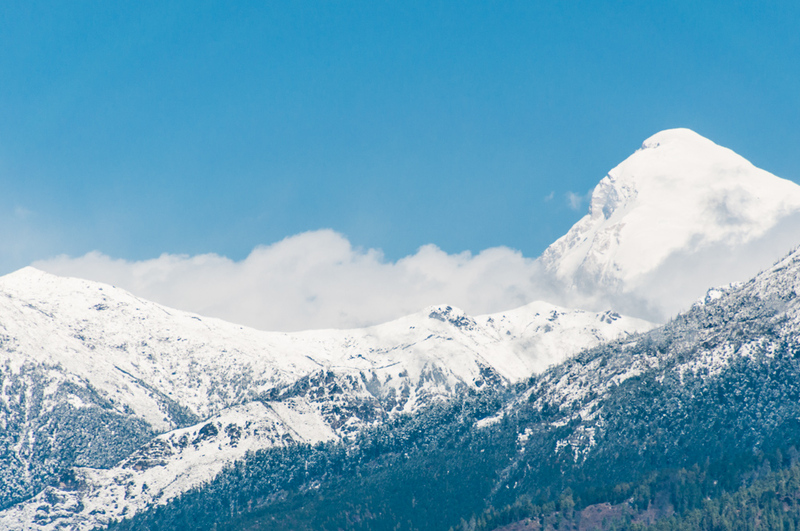 We get an eye-level view of the Himalayas gleaming against a robin-egg blue sky, including Mounts Everest and Kanchenjunga and the sacred mountain of the Bhutanese Buddhists, Mount Jomulhari, before floating down into a layer of puffy clouds. 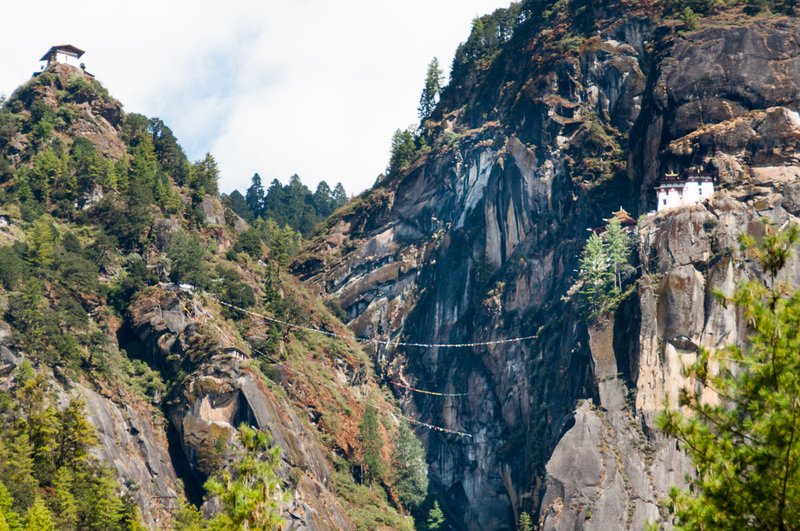 When we emerge below the cloud cover, the plane is wending its way along a deep tree-lined valley dotted with farmhouses clinging to its slopes. 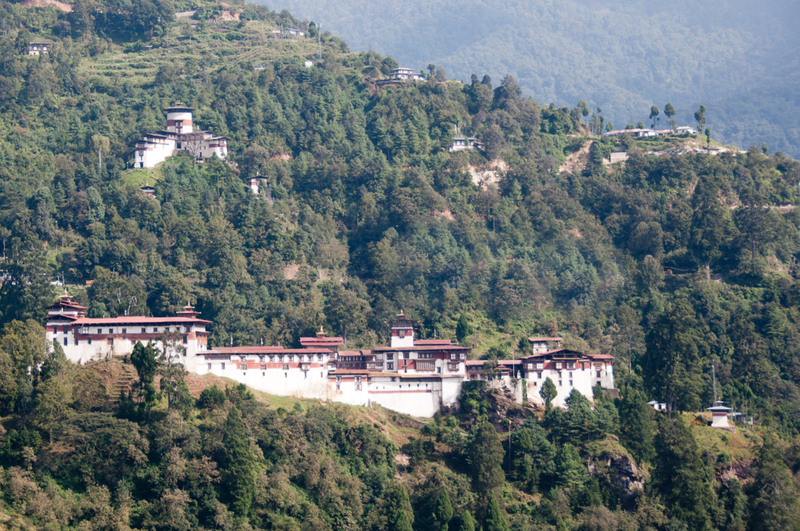 I understand why only the handful of Druk Air pilots are certified to fly into this airport. 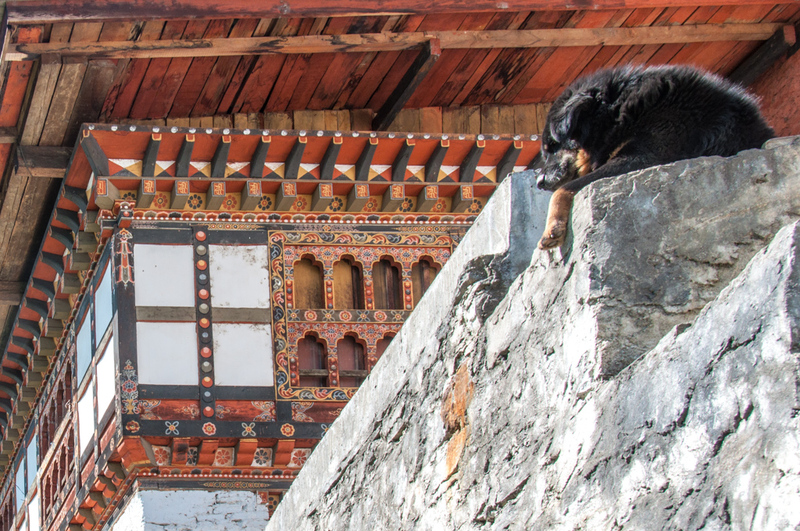 One last turn and a feather-light landing onto the short runway along the bank of the Paro Chhu River and we have arrived! Shortness of breath once we disembark has nothing to do with the landing. 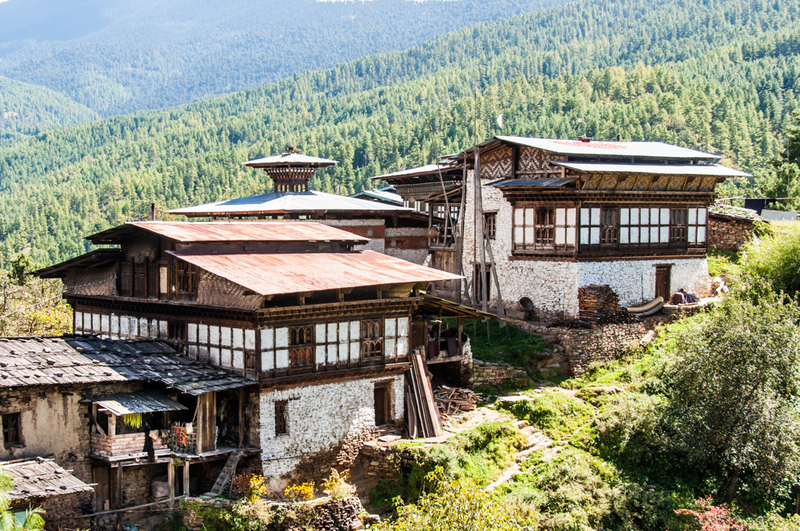 Paro is at an elevation of 2,200 meters (7,300 feet). 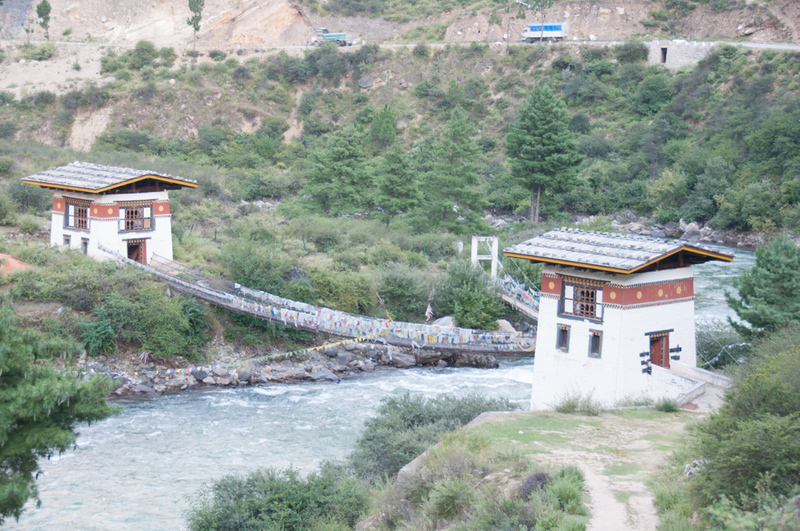 A bridge across the Paro River leads to Thamchog Lhaklang. 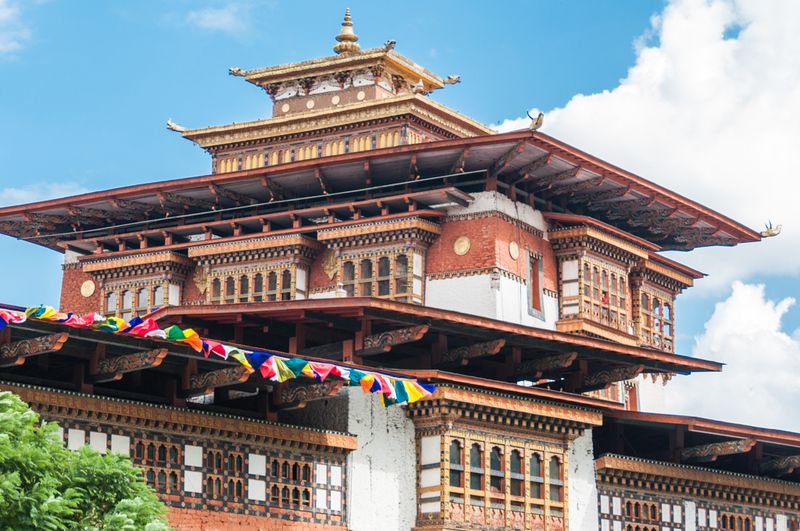 It’s a 90-minute drive from the airport to Thimphu, Bhutan’s capital, and with 80,000 inhabitants, its largest city. The road winds along the river. 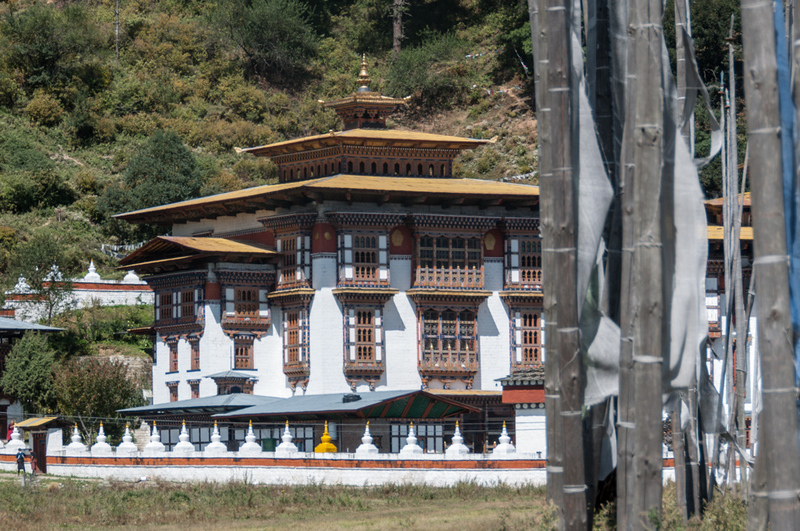 Half way into the drive, we get our first glance at traditional Bhutanese religious architecture with the Thamchog Lhaklang. 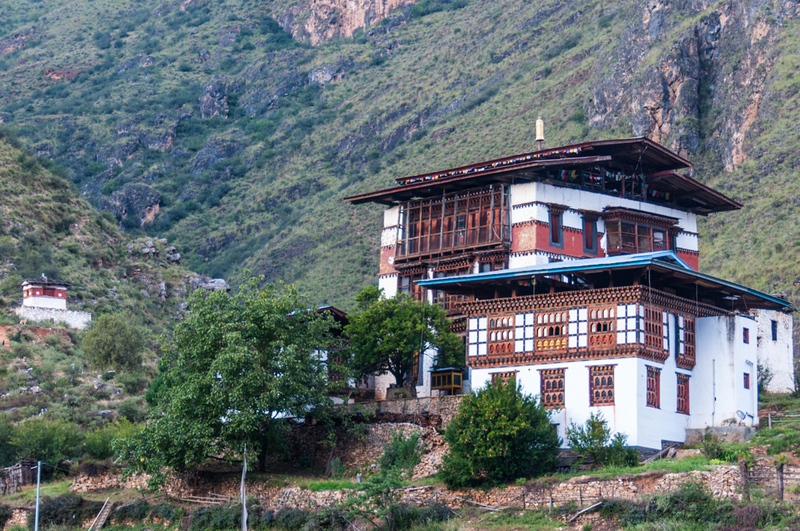 Built on a knoll overlooking the river, it is a small fifteenth century temple with tall, whitewashed walls topped with elaborately arched windows and roofs held by intricate multi-colored wood trim.On the ancient bridge that leads to it, rows of fading prayer flags flap in the wind. 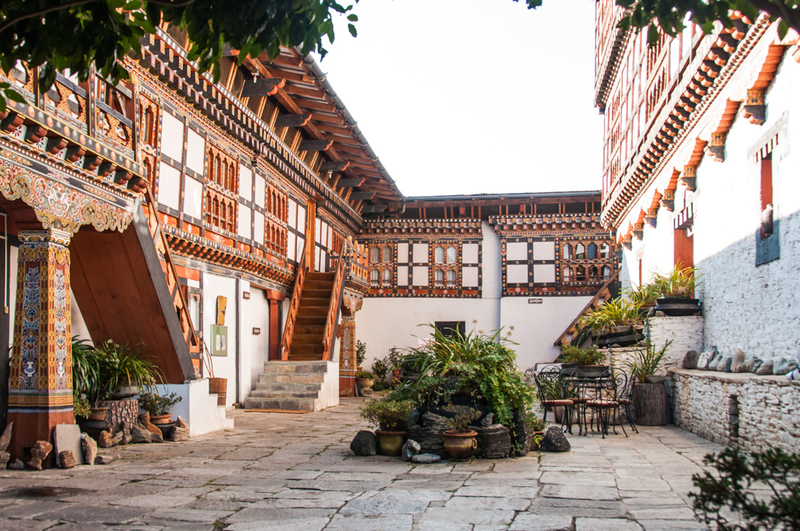 In Thimphu where we spend the next two nights, it is clear that the twenty-first century is beginning to collide with ancient traditions. 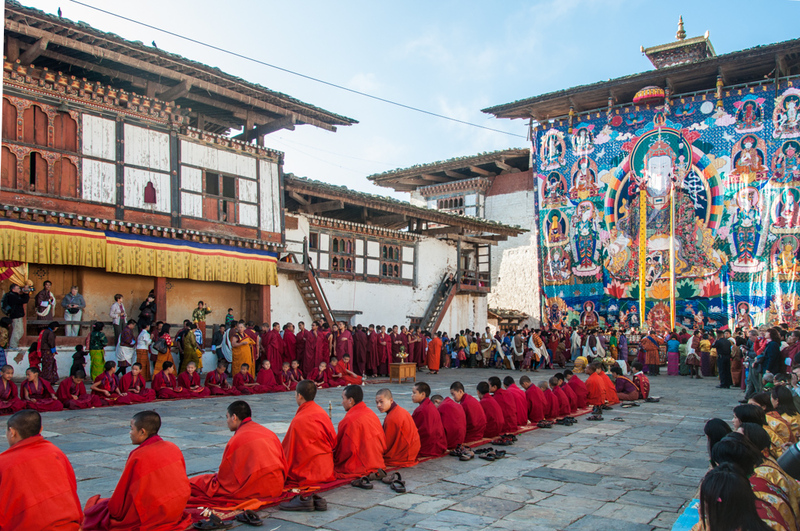 In the bustling street markets, monks in flowing crimson robes and people of all ages attired in the traditional national dress are carrying conversations on their mobile phones. Later that evening, as we browse through antique shops along the main street, we come across a lovely young sales clerk in her traditional Kira (an ankle length wrap around garment). Her shiny white laptop computer is propped on a display case. She is updating her Facebook page while she wait for customers to drop in. 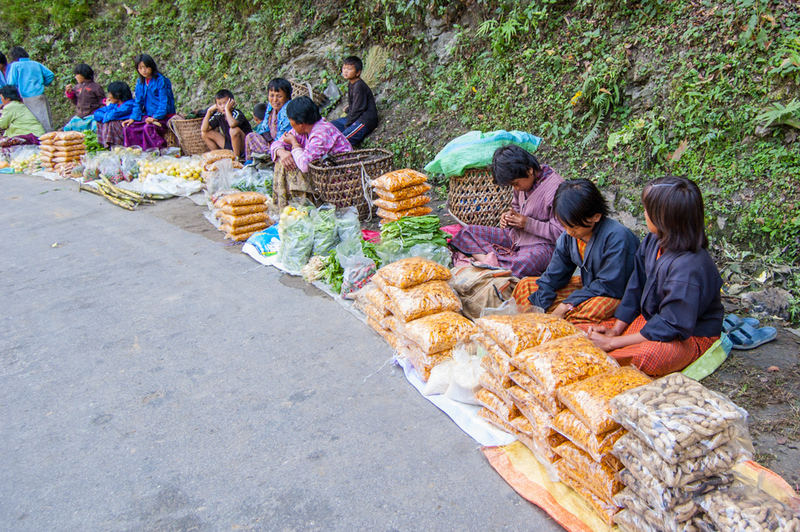 The next morning starts with a steep uphill drive to the Changangkha Monastery. 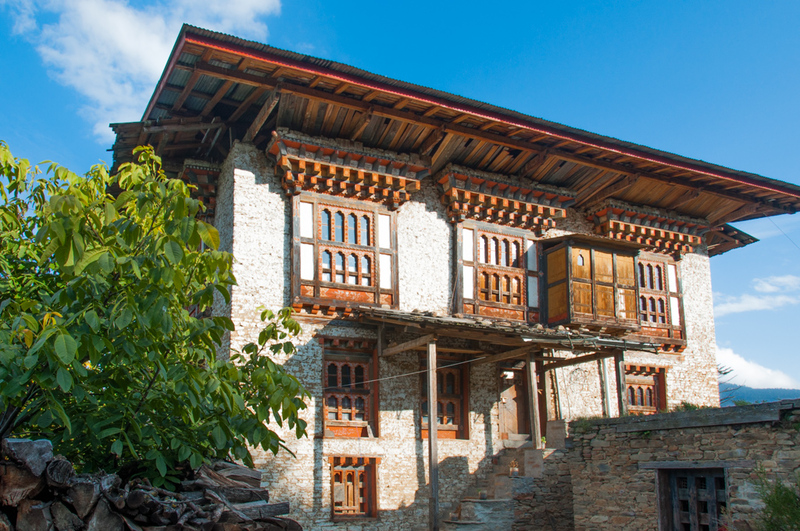 Built on a ridge high above the city it has a commanding view of the Thimphu Valley. 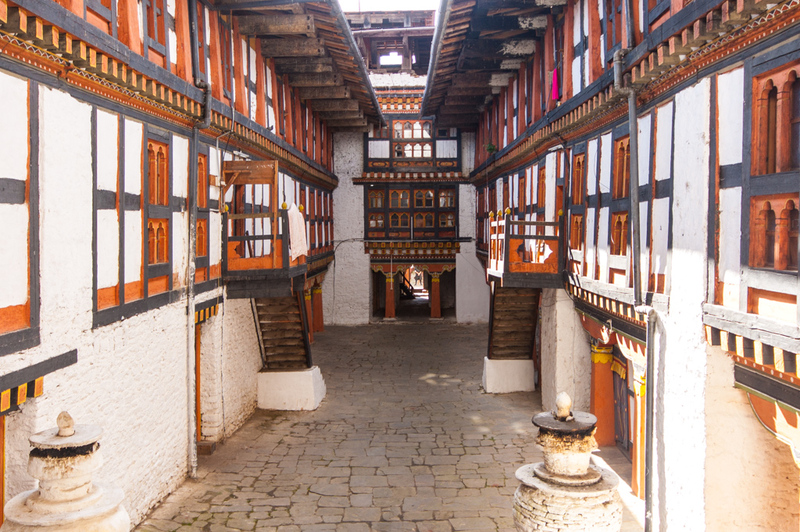 The fifteenths century fortress-like monastic school was erected by the descendants of Lama Phajo Drukgom Shigpo, who in the twelfth century founded the Drukpa School (a branch of Tiberan Buddhism) in Bhutan. 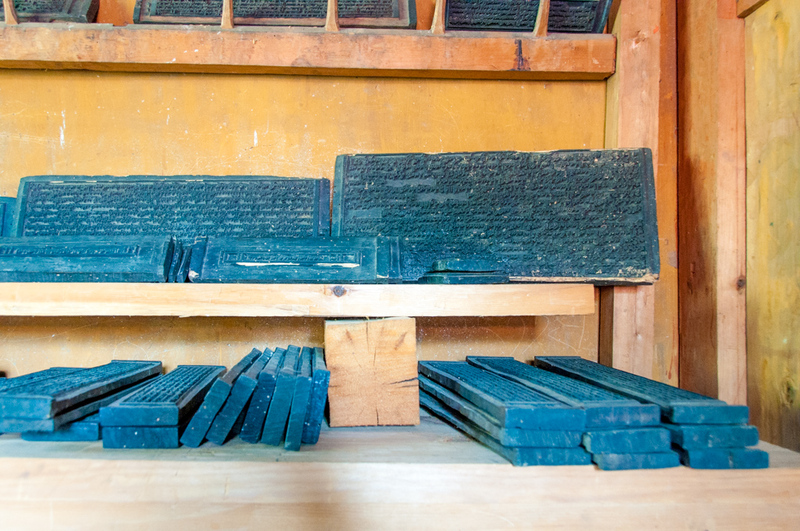 It is still a repository for ancient scriptures and Thankas (wall-size silk paintings enriched with embroideries depicting Buddhist deities, once used as a teaching tool). 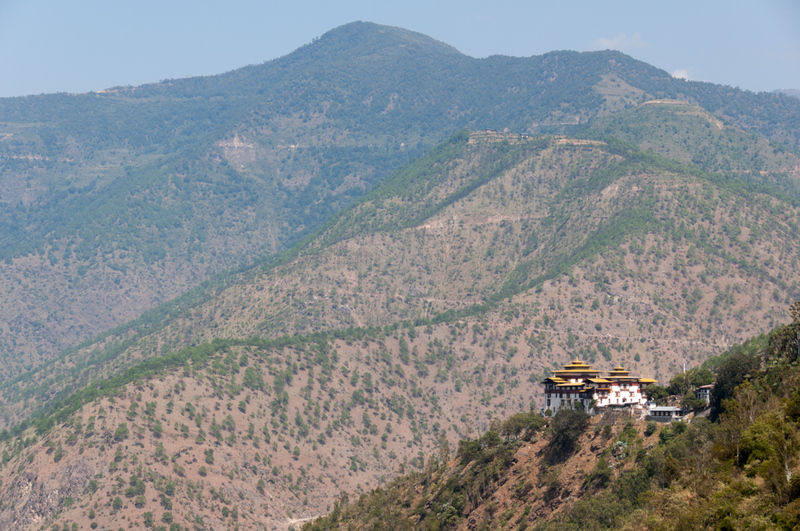 The Changankha Monastery overlooks the Thimphu Valley. 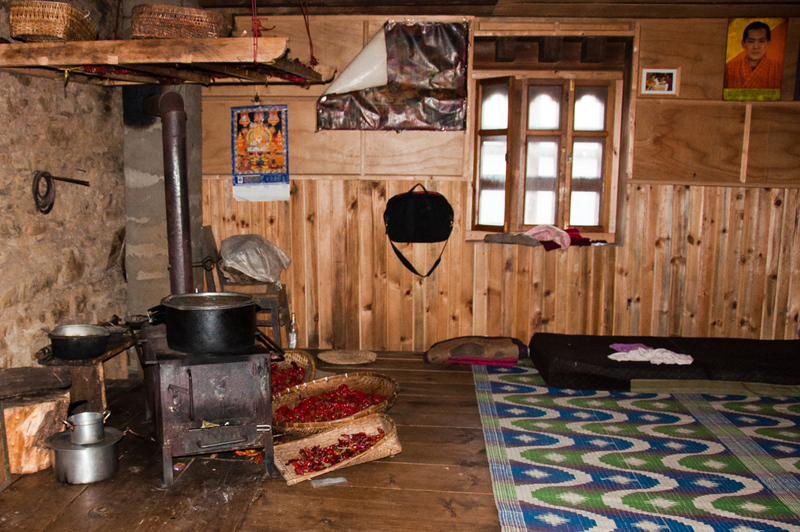 Another high-point of my visit to Thimphu is the Choki Traditional Art School, located just north of town. 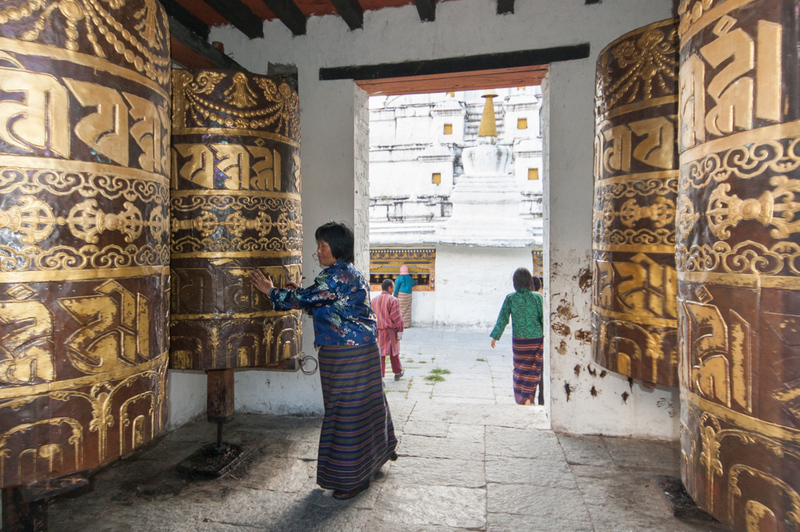 It is the only institute in the country to provide training in the traditional arts and crafts of Bhutan. 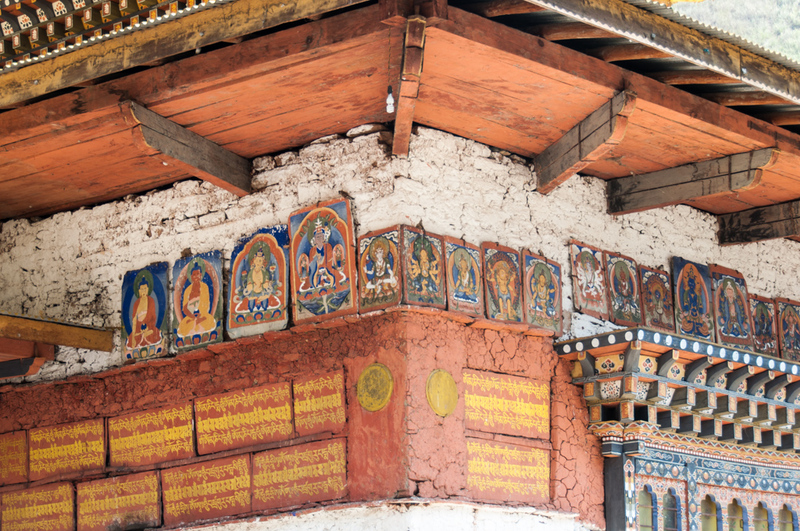 Established in 1999 with five students, it is now a boarding school for over 125 talented adolescents who come from all over the country to master traditional painting, sculpture, carving, weaving and embroidery. 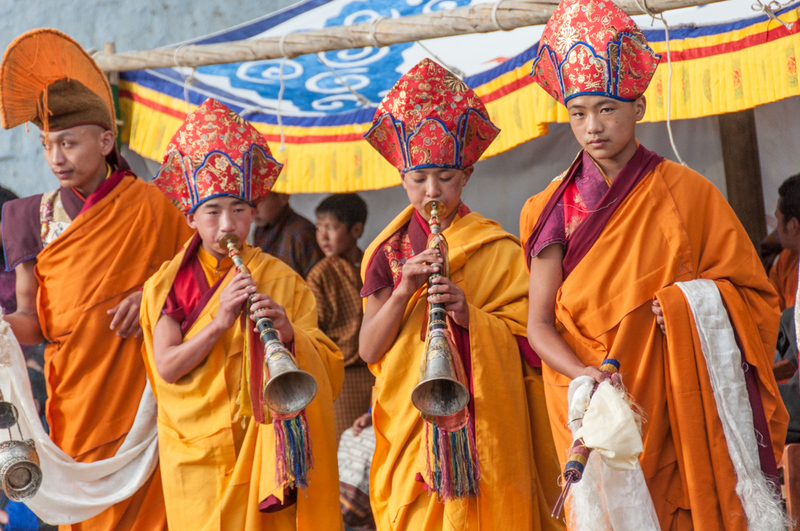 They also study Dzongka, the national language, mathematics and English. The skills and enthusiasm of these young people are impressive. 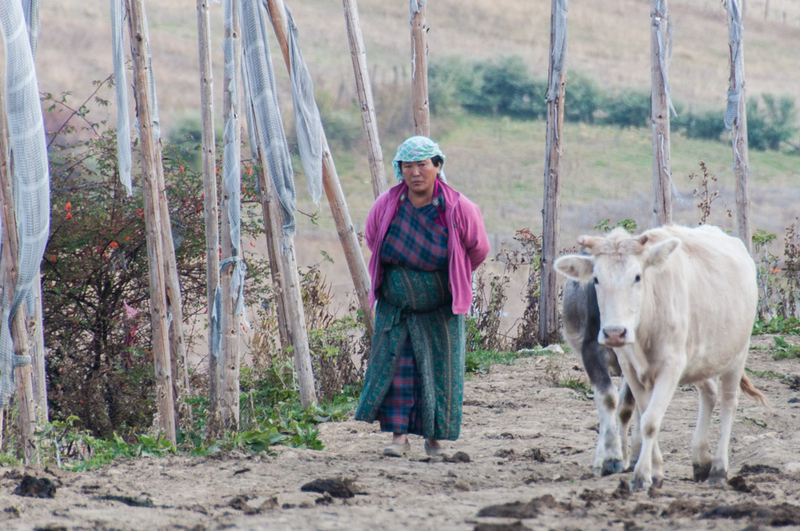 Tomorrow we make our way eastward, over the Dochu La Pass (about 3,150 meters, or 10,300 feet, above sea level) toward Punakha and Wangdi. 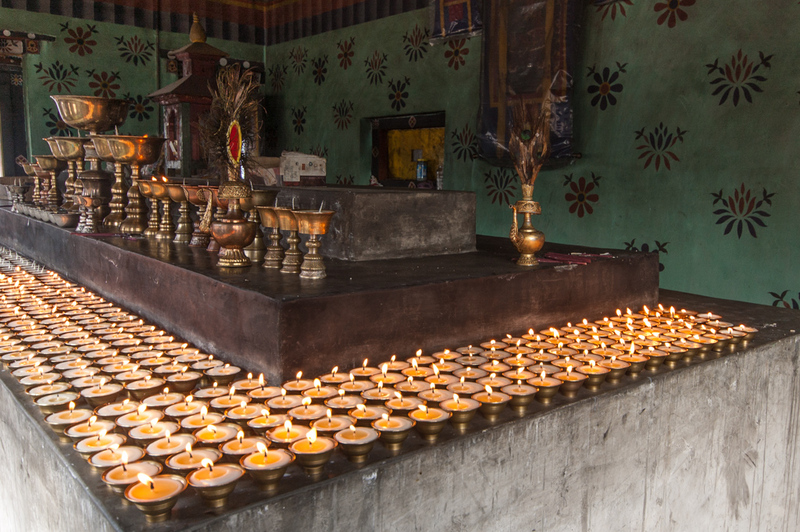 Tourism in Bhutan is subject to strict regulations that are managed by the National Tourism Council of Bhutan. 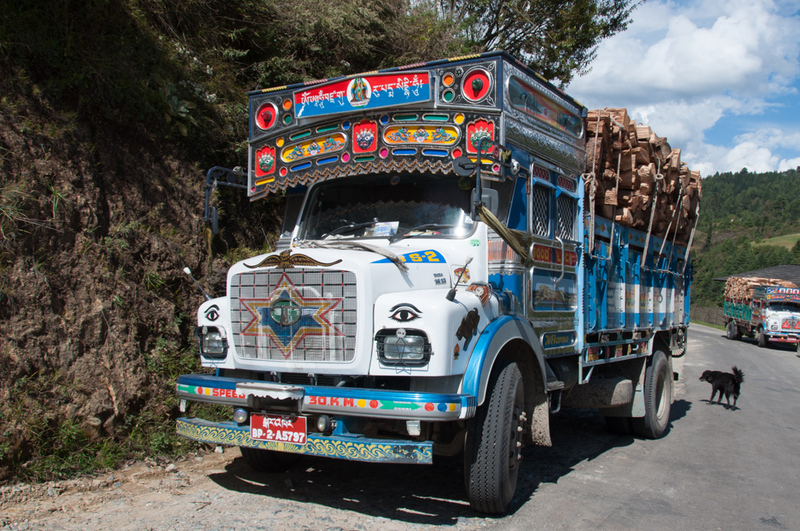 All travel within the country, starting with the entrance visa, must be planned and booked through a tour operator registered with the council. Travel guidelines as well as a complete list of registered tour operators are available on the council’s website: http://www.tourism.gov.bt/plan.